On the insistence of friends and associates who think that Kandalaksha’s saving grace is in developing birdwatching tourism I’m making a series of posts on local winter birds. First comes.. Let it be Greenfinch (Chloris chloris or Carduelis chloris). While not edible – its edibility is mentioned solely to annoy the aforementioned friends and colleagues – it is said to sing pleasantly. Also the male, when overcome by lower instincts, is supposed to make flying feats. 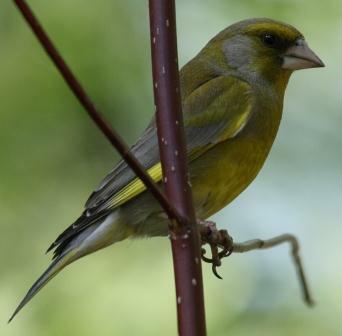 Greenfinches stays here for the winter and are often seen at feeding tables. 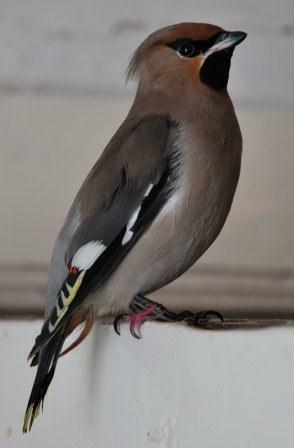 Second is Bohemian Waxwing, a true northern bird. It stands out among its feathered brethren for its ability to get drunk (see Food and Drink category) on overripe berries. Also theirs is a rare case among birds of feeding orderly, without chaotic competition, which I suspect may be connected to camaraderie that results from drinking. In the winter they tend to move closer to cities. 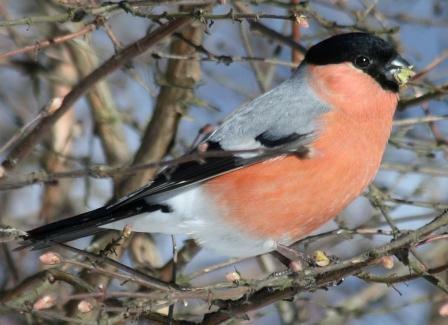 Third, it is the Bullfinch (Pirrhula pirrhula). They will eat slowly and deliberately off your hand, that children find amusing. Bullfinch is said to be able to imitate music. 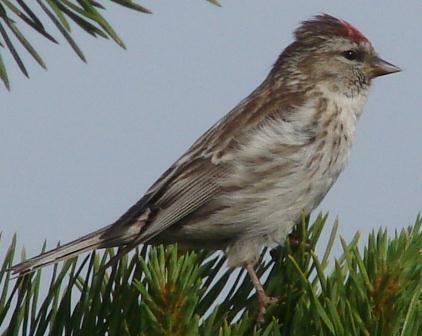 Lastly, it is the Common Redpoll (Carduelis flammea), another member of the Finch family. Or it could be the Arctic Redpoll. I’ll leave classification to bird experts. All of these wildlife areas should be declared zapovedniks, closed to all human intrusion. I agree. Bird watching trips in the Kandalaksha Nature Reserve would be the best thing to do at Kandalaksha, and to financially support the Nature Reserve. Pica pica, in Rio Grande National Forest, Colorado, U.S.A. .